Science fiction is often based on real life, modern society, real world events and proceeds to warp them into something outside our own imagination. Take no better examples than George Orwell’s 1949 novel Nineteen Eight-Four and Frank Herbert’s 1965 novel Dune which carry topics that remain as relevant today as they were upon release. You don’t have to look at either very closely to draw parallels with current world events. Can Outland’s NORTH possibly achieve such a similar feat on the unsuspecting Switch audience? In NORTH you take control of a SOUTH refugee who has just survived the great desert crossing and arrived in a great northern city, seeking refuge. You are warned from the start that you should play the entire ‘game’ in a single sitting (the first run should take you about an hour), and told you can write to your sister who is still back in your homeland in search for clues on how to correctly proceed. And that's all you will get on your departure into this cryptic experience. You are then dropped onto a dystopic city scape and are left to figure everything out for yourself. As much as we would like to describe the plot further, doing so will only spoil the experience by giving away your objectives. You should play this as it is meant to be: with no prior knowledge of what to do next. This was a deliberate design choice to simulate the confusion of a refugee when he enters a new nation seeking asylum. You can walk and interact with a few other ‘people’ (note that neither northern or southerners are human) but as warned at the start, you will only have a clue on how to correctly proceed by interacting with the mail boxes spread around the city and writing letters to your sister. As you might have probably figured out, there won’t be any rainbows and happy celebrations during the time spent being utterly oppressed in NORTH. 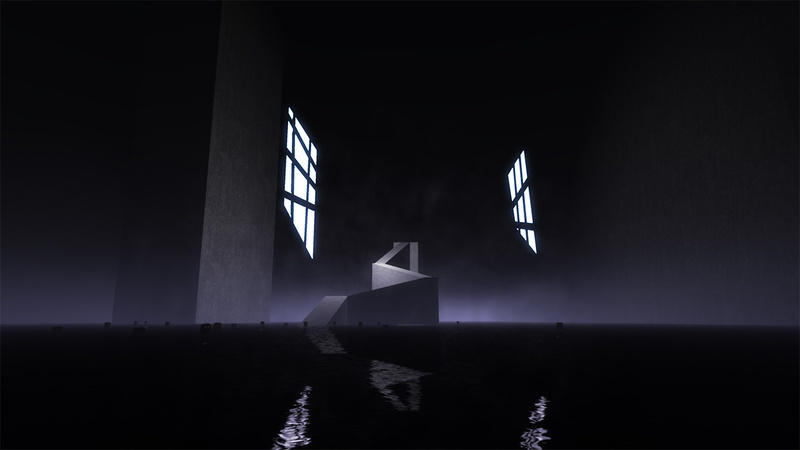 After a quick glance at the finished product running on Switch one might be mistaken into thinking this is some sort of Unity engine showcase, with flat polygons and light-sources successfully used in simulating the dystopian future cityscape. We encounter some issues with the default brightness settings, with ramps and doors that are all clearly defined on the PC version all but invisible in the darkness of this version. Since there are no in-game options to change this, a little frustration might set in when you realise you are lost for the past dozen minutes because you can't spot a crucial elevator door you need to progress the plot. The ‘game’ description points towards its ‘dark synthpop soundtrack’ and it most certainly lives up to it. You will not hear many musical themes on your oppressive journey, but the ones that play on cue certainly help along the experience. Sadly, every time the game loads a different area, the music starts fizzling which somewhat ruins the immersion, something we hope will be mended in a future update. The happy jingle that plays when you do something deemed ‘correct’ is the sole humorous (purposely ironic) touch in the whole package. 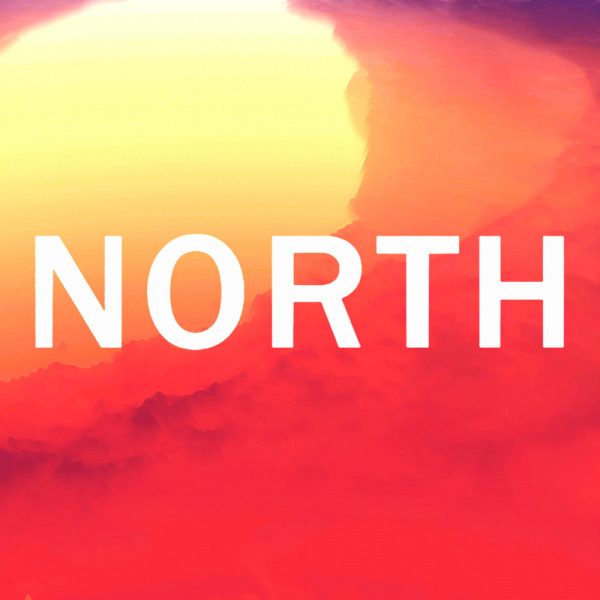 NORTH is not a video game, per se, at least not in the traditional sense. It is an interactive piece of electronic art one can choose to indulge in order to better understand the plight of refugees. As such the messages might escape those who are too young to understand the real-life parallels or those who are too old and with prejudice to care. 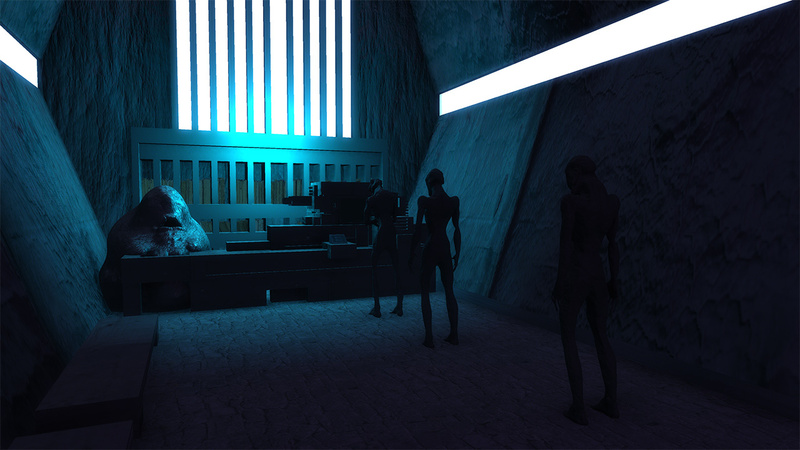 If you like cyberpunk science fiction and don't mind experiencing simulated oppression, give this a shot. There is certainly nothing quite like it on the eShop and for the asking price and a mere moment of your time will give you modern society conundrums that will haunt you for years. The experience is so subjective we have no choice but to leave the score for each individual to settle on their own. The biggest tragedy here is not that number on the bottom of the review, but the fact that if this ‘interactive art piece’ was released 100 years in the past or a century in the future, the lingering topics would and will surely still be completely relevant. I might pick it up just to see what it is all about. Really interested in this one, I'll probably get it. Next up: the slaughterhouse experience. Might get some people to understand that massive blind spot of massive oppression. If you can even get them to ever boot it up instead of dismissing it as "propaganda" while eating corpses of the animals they claim to "love". i'll save this for later. i'm in no hurry of getting this right now. 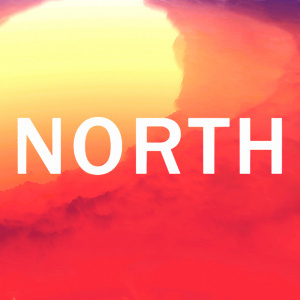 Someone made a game about Kanye's daughter? Would say it sounds interesting enough for my time but not my money, but since they are only charging $3, I may give it a shot. @Shambo Considering gamers are used to slaughtering other human beings in videogames without problems, seeing some pig guts and ribs may not work. It may even hilariously backfire, just like the PETA Pokemon and Cooking Mama "games". I've seen pig slaughter in real life and I still eat pork. Most of my extended family is rural. I will have nightmares about this for years. Shiryusly folks, everyone should give this a go. You will play it a single time, figure out how to "be a good citizen" and never look at a refugee the same way ever again. @ThanosReXXX My book cover is not this one, but it is also written like this. @Shiryu The point was that you forgot the Y. It says "Nineteen Eight-Four" in your review. @Shiryu Is there some sort of required pun/wordplay test every prospective NL employee has to take before they are hired? @ThanosReXXX ah, that was a typo already corrected by Dom. @JHDK Yes. Without our pun A game on the table, we get get...'retired'. @ThanosReXXX Must be an internal server cache issue, it should show up properly eventually. I tested it here. A great site, by the way. It provides a quick answer to whether the problem is on your end or not. @ThanosReXXX Yes, there was some downtime yesterday, server issues. It has been fixed. @ThanosReXXX ...but the next issue will surely come when you least expect it, ruining yet another weekend for the poor IT guys . I mean, $2.99 and a cyberpunk soundtrack isn't bad. I may just check it out. Consider me intrigued. The only strong negative for me is the level of darkness - I struggle to find things at the best of times in video games. As an aside, for something so subjective, I think it best to leave the score off entirely (so many people don't read the review, but jump straight to the 'score'). Another intriguing curio like Black (also on my wishlist). Will wait for freer, cheaper, days. The screenshots give me a Wales interactive vibe, wich isn't good. this "game" is terrible. Yes it is ugly, but I could live with that - it is also badly designed, I ran around the "mine" section without knowing what to do, died three times in a row for no reason and then deleted it after 15 Minutes, which is 25% of the game (designer sets it at one hour playtime). 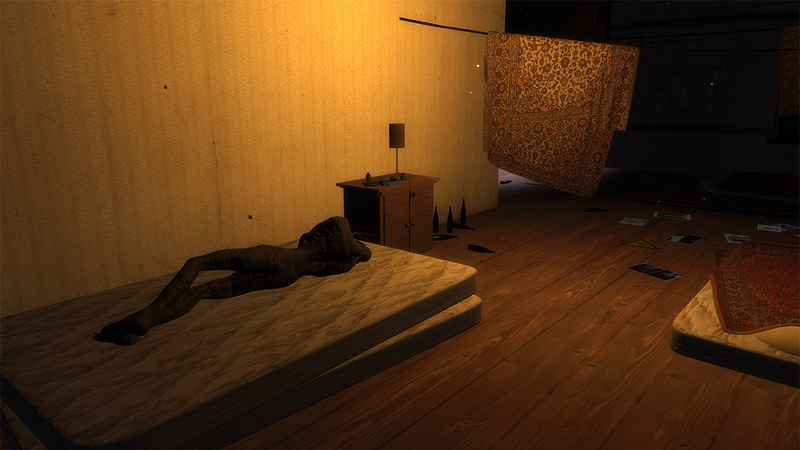 Everything is so incredibly barebones and cheap, it feels like a students first unity project. Don't spend money on this! @Mr_Horizon You spent 15 minutes in the mine section, stuck. Yea def not a game for u, a bit over your head it seems if all it took was those 15 mins to discourage you from an otherwise interesting experience. For the asking price it more than makes up for it with the storytelling, soundtrack and bleak atmosphere. I really tried to give this game a shot but no matter what I did I couldn't make it through the mines. I don't know if it was just lagging too much on my Switch but I saw videos of people on PC making it through very quickly but no matter what I did I couldn't collect all three things and activate the things even with running back to the safe zones. I tried for over an hour on this and finally had to cut my losses. Anyone else also have an issue? Hey @Shiryu this seems to have been removed from the eShop, any idea why, or what the recent update does? I'm worried it will make the title unplayable before I even get one run in. @NintendoGaymer No clue. Let us hope it make it back there somehow. @rotellam1 Sorry for the late reply. You need to drink the white liquid from the dispensers on the left before the min entrance before attempting the task at hand. It is impossible to success unless you juiced up for the task. I'm getting a strong Master Reboot vibe from the screenshots. I adore Master Reboot despite it's flaws, so if this is anything like that game or if it stirs similar emotions to that one then yes! Purchasing for sure!